With over 20 years experience as a leading dental technician and snoring expert, Richard Tyrell our expert snoring advisor can answer any of your snoring questions or concerns. Fields marked with * are required. I only snore when I am on my back. Why is this? You are more likely to develop a snoring problem if you sleep on your back due to the distribution of weight around the neck and throat. As a result of increased pressure upon the respiratory system, the soft throat tissues, especially the soft palette are more likely to come in to contact, blocking the airflow through the respiratory system and producing the snore sound. How can a mouth piece help me stop snoring? Worn at night a mandibular advancement device holds the jaw slightly forward and prevents the jaw and tongue falling back. This maintains an open airway and stops snoring. I have breathing issues, can I still use the Snorewizard? 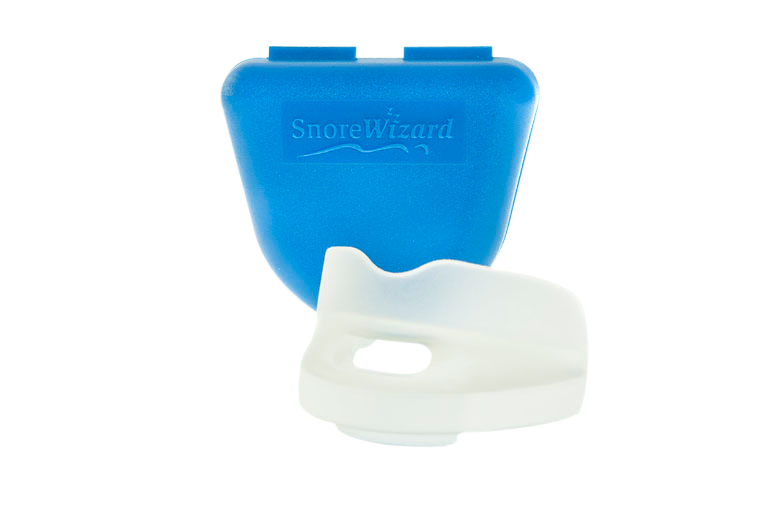 As the Snorewizard has a breathing hole in the front it will not change the way you breathe. Can I use a mouth piece if I have sleep apnoea? Yes but if you have severe sleep apnoea please ask your Doctor first. You do need enough teeth to hold the Snorewizard in place. If you wear you dentures in the night it will not be a problem. Richard has over 20 years experience as a dental technician dealing with Snoring related issues and remedies. If the Snorewizard doesn’t work for you then you can return it within 30 days for a full refund.